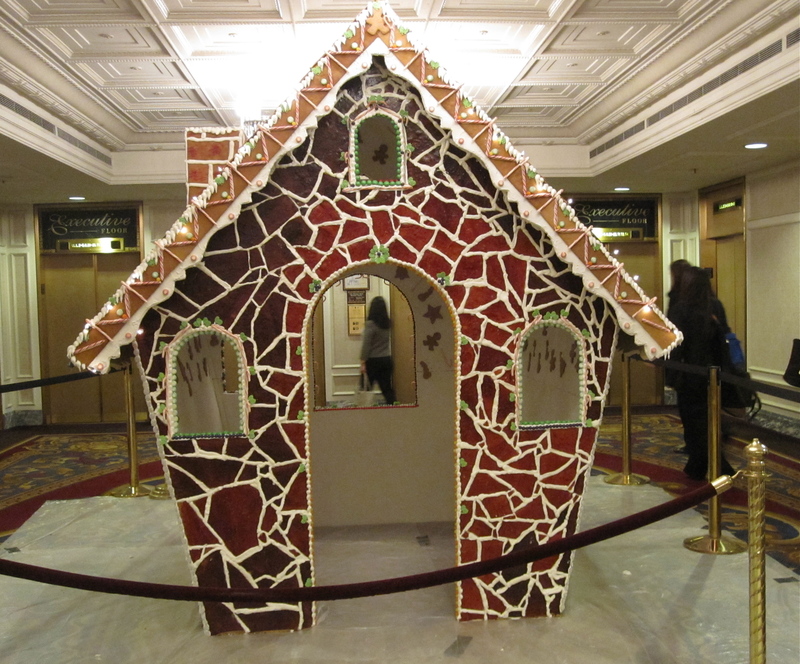 A friend staying at the Hilton Chicago joined me for lunch at Henri a couple weeks ago, but before we set out for mussels and smoked steak tartare, I got a glimpse of Chicago’s largest gingerbread house under construction. 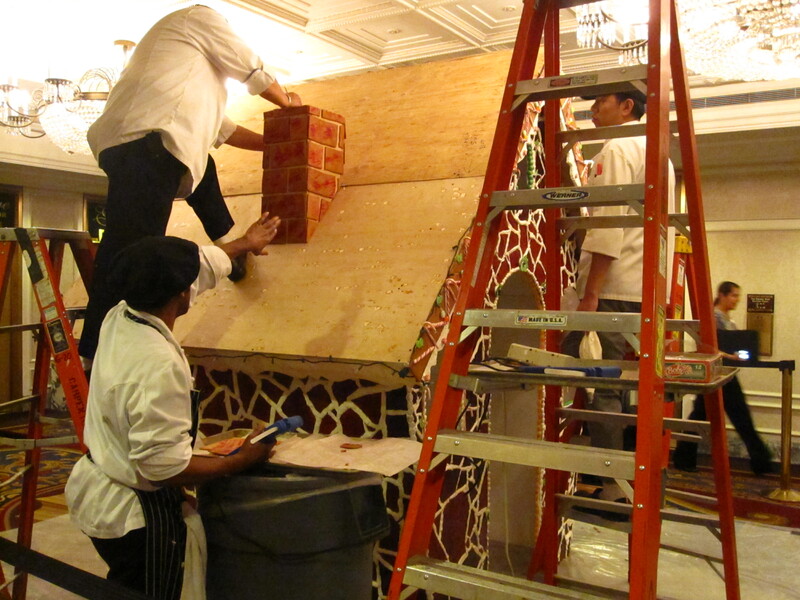 A team of chefs balanced on metal ladders to affix tasty gingerbread bricks to the chimney of the nine-foot-tall house, and slap sweet panels on the slanted roof. I think a white picket fence and poinsettias now surround the sweet crib, so head up to the 2nd floor lobby to catch a glimpse and the awesome aroma. Chicago Hilton, 720 S. Michigan Ave.